The Mayor's Anti-Gang Office provides programs and services for at-risk, delinquent and adjudicated youth and their families. Its mission is to assist in the prevention and intervention of gang involvement and juvenile delinquency through direct services, collaboration, education and awareness, and policy development. For those youth who have made the decision to leave the gang lifestyle, intervention counselors provide case management, mediation, counseling, referrals, and mentoring. Assistance is also provided to family members. Clients are referred to the office from schools, other service providers, faith based organizations, health care professionals, parents and self-referrals. Gang Resistance Education Awareness Training (G.R.E.A.T.) G.R.E.A.T. is a prevention program for middle school students implemented by the Houston Police Department. 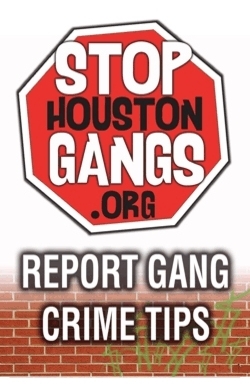 Police officers teach an anti-gang curriculum to students at target HISD middle schools. The goal of G.R.E.A.T. is to prevent youth crime, violence, and gang involvement while developing a positive relationship among law enforcement, families and young people to create safer communities. Most people don't want to admit that gangs and violence exist in our home towns and sometime in our own families. If we don't educate ourselves you on what's going on we can't help our sons, daughters and friends. Talking about the problem is the the first step to fixing it. If not, we know one group that will listen to your children - gang members.